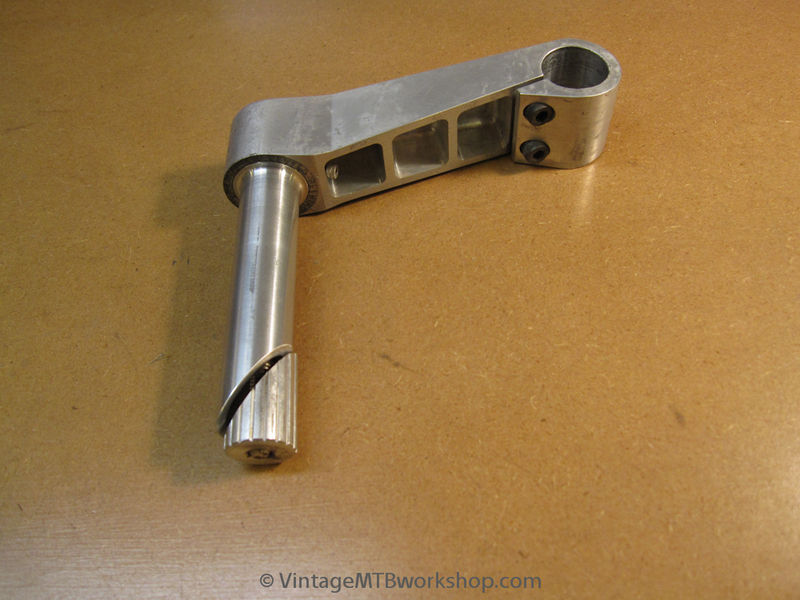 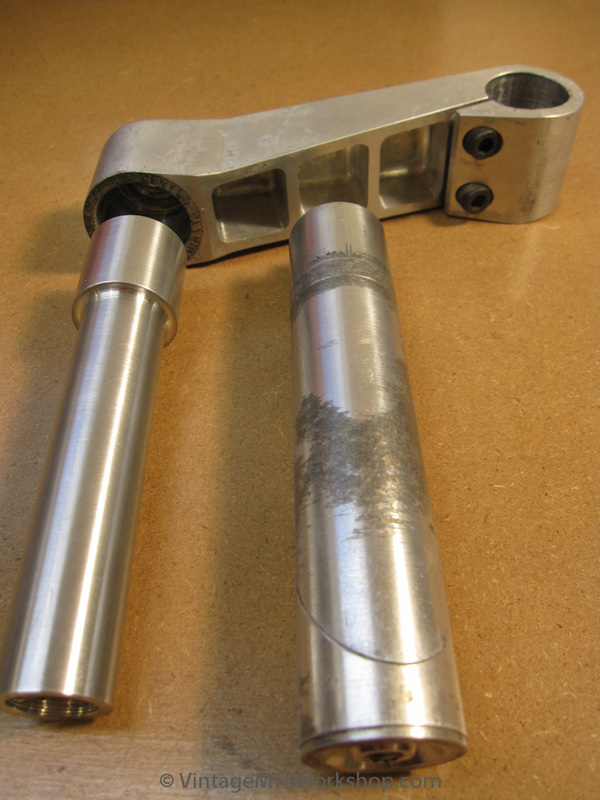 This stem is a rare Doug Bradbury made Manitou that originally came with a quill for a 1-1/4" fork steerer tube. The conversion was done to achieve a quill for a 1" fork steerer tube. 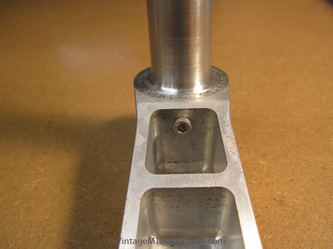 Besides a press fit, a small screw was added to prevent rotation, just in case.